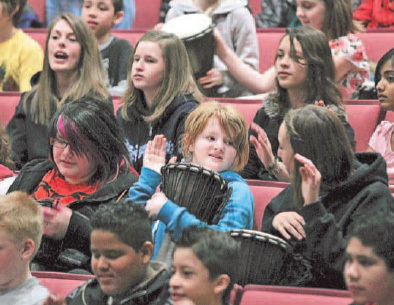 Almost 800 middle years students from Brandon take part in a drumming session as part of a Youth Revolution event on Wednesday morning at the Western Manitoba Centennial Auditorium. The group, which encourages leadership skills and healthy lifestyles in students, also helped support Samaritan House with donations and benefited a village in Ecuador through the Free The Children charity. (Colin Corneau/Brandon Sun). 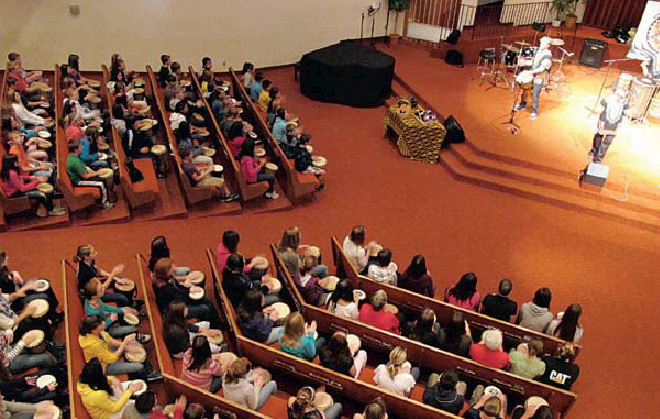 On October 5 , the Youth Revolution had the second forum – the start of the Youth Revolution – at the McDiarmid Alliance Church. The purpose of the forum was to continue the endeavours and hard work of the Youth Revolution within our schools and our community. Students at Lockport School showed off their skills that they learned over the past week March 23 in the school gym. 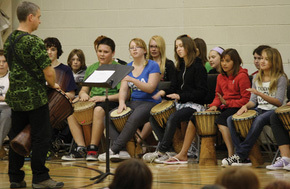 All week students have been getting lessons on the African drums as well as lessons in dance. The last hour-and-a-half before spring break students showed off their talents for all to see in the gym. 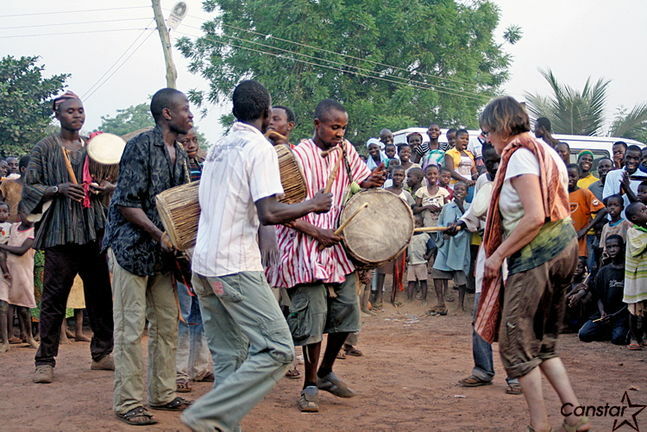 The beat of the African drum has kept Jay Stoller enamoured for more than a decade.